Karin has been at the forefront of the progress being made with trying to form safe towing legislation in the UK. We wanted to show her what we are doing as the UK's largest towing equipment manufacturer, and what we think needs to be done to make change in the industry. 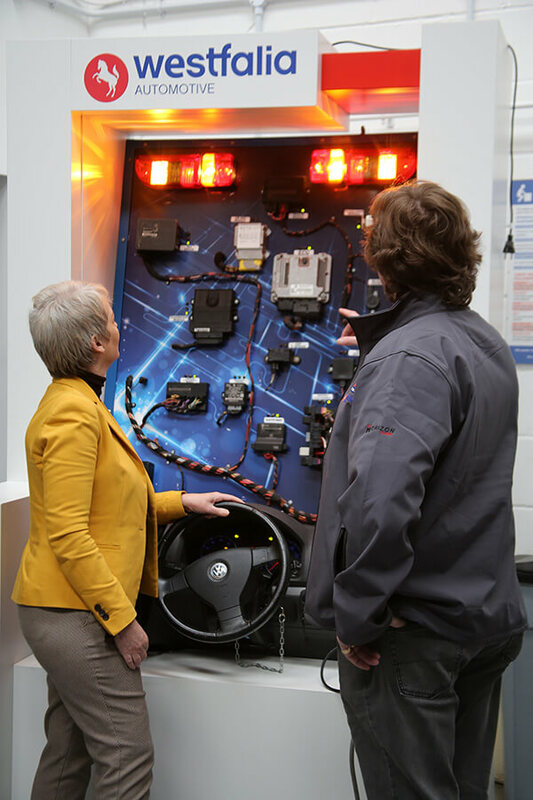 One of the topics we discussed was towing electrics and why we think it is vital all modern cars should be fitted with a vehicle specific electric kit rather than a universal bypass relay. Whilst we do appreciate that the universal electric kits are cheaper, although only usually by £80-£120, we couldn't stress enough the costs vehicle electrics save in the long run. When you fit a vehicle specific kit and recode the ECU, you are giving your car access to all the information it needs to know how to adjust its safety features accordingly. So, when you hitch up your trailer, caravan etc. your vehicle recognises you have added to the normal operating parameter and adjusts performance accordingly. For example, adjusting torque and power setting to the wheels to maintain grip, changing gear ratio and braking intensity to allow for the additional weight and forces being placed on the vehicle and changing parameter for braking assist or proximity detectors so they expand their field of vision and react quicker to potential hazards. Whereas, a universal bypass kit will do just as the name implies and bypass all safety features and not inform the vehicle that it has an extra 2 tonnes or more of weight behind it. We also discussed the current lack of accreditation for fitters and how anyone can currently set up a business to fit towbars and electrics. The level of sophistication in vehicles introduced in the last ten years has developed to such an extent that fitting a towbar and wiring should only be undertaken by a specialist who has the necessary skillset and equipment. That's why we are starting to roll out an 'Approved Service Centre' scheme; as market leaders, we feel that it is important that our customers get the best possible experience when purchasing our products. Having been in the industry for over 70 years and having worked with many of the towbar fitters across the UK, we are selecting those that we know are fully trained and offer the best service. 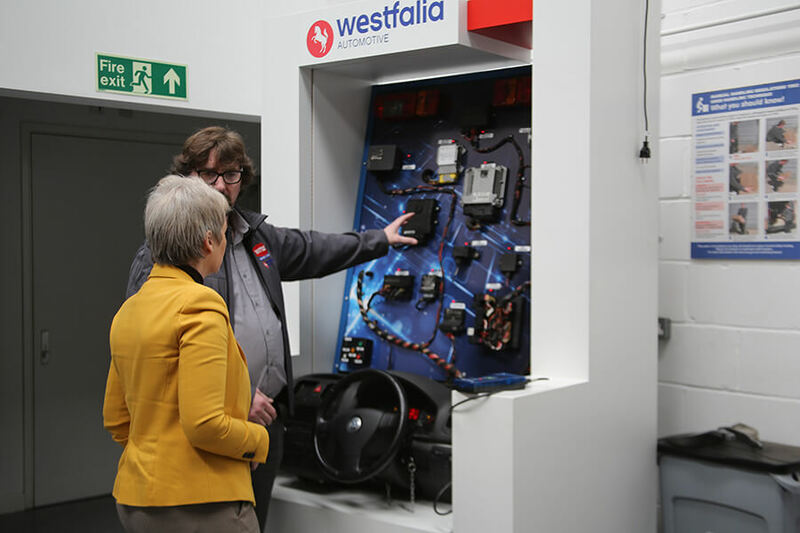 We work with our centres to then provide them with the best equipment and offering them training where needed making sure all their staff have the latest training available. Karin was very keen to learn as much as possible about how the electrics work on the vehicles and the parameters around fitting towbars, so she could use this information to continue the hard work she has been doing on the campaign #TOWSAFE4FREDDIE. We are continuing to work with Karin to give her all the support she needs to act with legislation and will continue with our mission to educate the public and provide them with the safest towing equipment on the market.